When it comes to buying a camera, it’s easy to get overwhelmed by the massive range of available features and price tags to match. Beginning photographers and those looking to upgrade their cameras to a full-frame sensor are faced with a number of choices. If budget is a concern, look toward older, but still popular, models that have less aggressive price tags than more recent releases. While it’s been on the market for six years, is the Canon 6D still a camera worth buying? Released in November 2012, the Canon 6D is a powerful tool that’s still highly relevant. Originally offered for a price of $2,099 (body only) or $2,899 (package), the camera is now available for only $999.00 (body only). The 6D was announced a week after the release of Nikon D600, which found immense popularity due to its low price and incredible features. Canon 6D gave stiff competition to Nikon’s full-frame DSLR and a new range of products was born. Thanks to the popularity of these affordable full-frame cameras, even Sony entered the market with its Alpha line. Additionally, Canon 6D faced competition from the company’s other popular full-frame model, the 5D Mark III. The Canon 6D looks quite like Nikon 600D, especially in terms of dimensions and layout. However, it is slightly lighter (770 grams) and has a slimmer body than the Nikon 600D, weighing in at 850 grams. But, its appearance is not all that distinguishes Canon 6D from Nikon 600D and other similar models. The 6D offers built-in GPS and wifi, which was a rarity back in 2012, especially considering the low price of the unit. Wifi connectivity allows users to remotely control the DSLR with the help of Canon’s smartphone app. The LCD display screen is a generous 3.2 inches, offering 1,040,000 dots. The screen is well articulated but may be a letdown to some since it doesn’t have the touch feature that’s common in more recent models. While the screen doesn’t offer new frills, it displays images and menus quite clearly. It works well outside as well due to controlled reflection. Images and colors appear realistically. In addition to this, the company also highlighted the product with an “unprecedented low-light focusing sensitivity.” 6D offers an ISO range of 100 to 25,600, expandable to 50 to 102,400. The 6D has a reputation for being a low-light champion, and it certainly is, especially when pushed to its limits. Increase the ISO and this camera shines over the competition. According to Canon, it can handle up to -3 EV light, which is the same as a full moon. The 6D was built using Canon’s CMOS sensor, offering 20.2 MP, slightly lower than Canon’s pricier model 5D Mark III, which offers 22 MP and the Nikon D600’s 24.3. Canon 6D gets reduced marks for its autofocus system, offering only 11 points, with just one cross-type, sensitive to horizontal and vertical detail. In contrast, the Nikon D600 has 39 points, with 9 cross-type sensors. The 6D’s big brother, the 5D Mark III, uses a whopping 61-point autofocus, with 41 cross-type. Besides the lack of autofocus points, the 6D surprisingly similar to the 5D Mark III in terms of features. It offers silent shooting thanks to silent shutter mode, multiple exposure, and in-camera HDR. However, they don’t work as well as they do on the Mark III due to issues with file formatting as they are only available when shooting JPEG images. While the features of 6D are generally positive, some do miss a few features that were found on previous Canon models but are missing with this camera. These include on-chip phase-detection, which could be an asset in movie mode or live view. 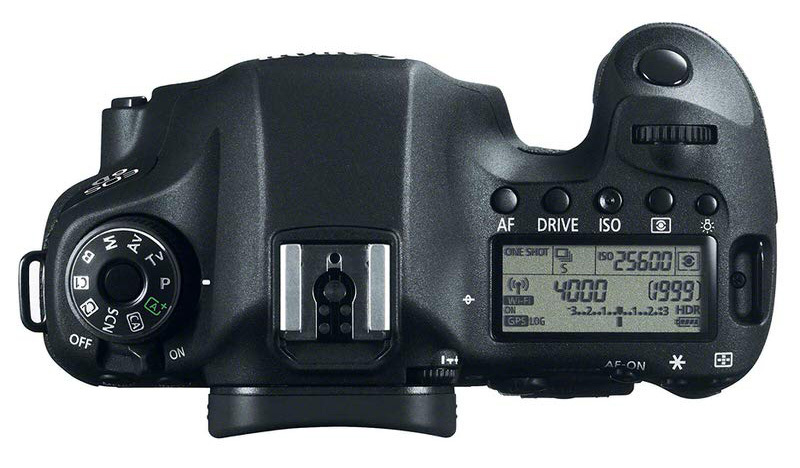 Canon also removed the headphone jack on the 6D. However, the camera offers a visual guide that gives you access to audio levels with manual control. The camera also lacks Canon’s popular touchscreen feature. This might not be important to someone who hasn’t used a Canon before, but loyal Canon users may miss these features. Some may also prefer a tilting display screen over the fixed version on the 6D. However, Canon says it’s to make sure the camera remains durable and the size is kept down. The camera operates on a rechargeable Lithium-Ion battery. It offers excellent energy density with little self-discharge. The Camera and Imaging Products Association (CIPA) ranks the battery life at 980. It can take about 1090 shots on a single charge. However, the number may increase or decrease based on how you use the camera. Most cameras today use the same battery, including the Canon 5D Mark III and the 5DS. Canon’s imaging technology has improved since the 6D was originally released. It now offers better ISO performance, improved details and sharpness, and a greater dynamic range. However, the 6D is still a powerhouse with its professional-grade and powerful sensor. Because of that, despite its age, the 6D still shines when it comes to quality. Don’t let the cons fool you – most of the negatives are only due to 6D being an old model or the Canon deliberately removing some features so it didn’t compete with their more expensive models. 6D’s biggest drawback appears when it comes to recording videos. However, it’s fantastic for landscape, portrait, and wildlife photography.